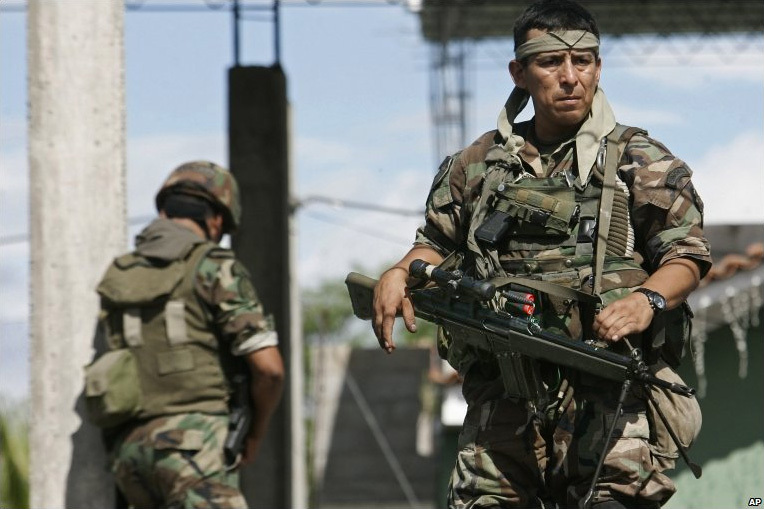 Peruvian security forces armed with Heckler & Koch rifles and submachine guns have killed dozens of indigenous protesters near the northern city of Bagua. Indigenous communities of the Peruvian Amazon have been protesting against new “Free Trade” laws that would open up their ancestral lands to drilling for gas and oil. Since April 2009, indigenous protesters have stepped up their protest, blocking road and river transport and shutting down oil and gas pumping stations. On June 6, Peruvian President Alan García ordered in the troops, and police opened fire using live rounds on a crowd of protesters.